Scenery: Walk through one of the most scenic valleys in the world. Spiritual: Visit the spiritual hide-outs of monks through the centuries. Social: Learn about the social realities of the land. Swimming: Swim in clean, flowing waters. History: Connect to the land's incredible history and beauty. This Eco-tour will take you through the majestic Wadi Qlt (Ein Prat), a water-filled, green, desert oasis valley running through the heart of the Judean Desert, from Jerusalem to Jericho. 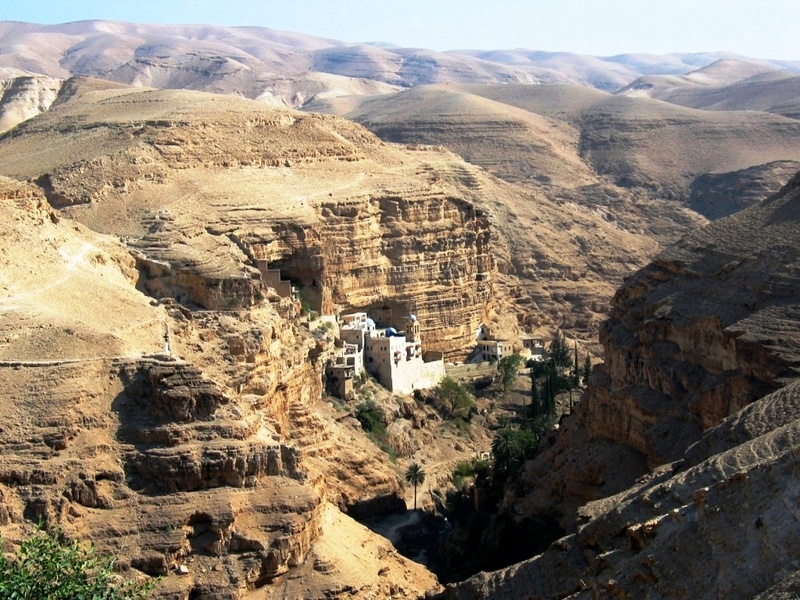 The valley houses many natural caves, a variety of wildlife, as well as several aqueducts that run along the stream, the oldest dating to the Hasmonean period (2nd century BC). The valley and its surroundings were declared as Ein Prat Nature Reserve, by the Israeli Parks authority following the 1967' war and is nowadays a popular destination for Palestinian and Israeli hikers, as well as local Bedouin shepherds. Our tour will begin with a short meeting and briefing at the Jerusalem hotel. A few minutes walk from Damascus gate. From there we will travel down the Jerusalem-Jericho highway to the entrance to the ancient town of Bethany (modern day Azaria). We will visit the lookout over the Judean desert and discuss the impact of its development on the local political, social and ecological realities. 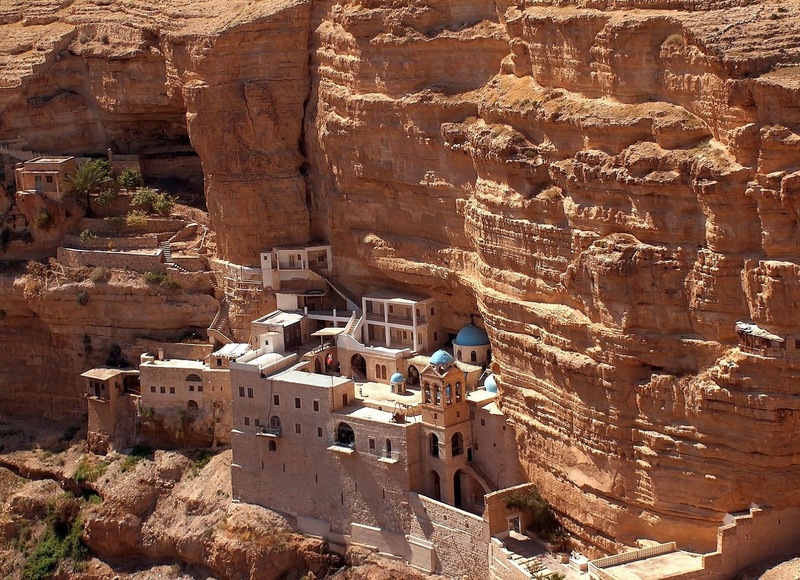 We will buy ourselves some food for a picnic then continue to the Site of St. George monastery where we will look over the ancient city of Jericho, one of the oldest human settlements. Then we'll descend to the monastery of St. George where our walking tour will begin. The site was founded by John of Thebes around 480 AD. and became an important spiritual center in the sixth century under Saint George of Choziba. 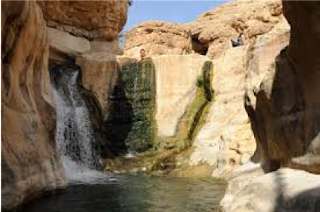 Then we will make our way towards Ein Qlt (by foot or car, depending on fitness of group) towards Ein Qlt the site of ancient Bedouin dwellings and a beautiful a fresh water stream filled with ancient caves, reeds, birds and wildlife. We will picnic by the majestic spring fed pools, enjoying its clear water and continue hiking or relaxing depending on the needs of the group. Finally we will ascend back up the mountain and return to Jerusalem. Please make sure to bring a hat, shoes appropriate for hiking through water, a bathing suit, and long clothes appropriate for religious sites.